E! 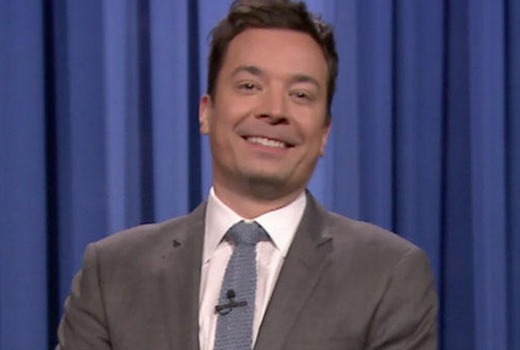 will begin airing The Tonight Show starring Jimmy Fallon from Monday March 2nd. Screening at 10.30pm this will be Express from the US, just hours after its US broadcast and ahead of ABC2’s next-day broadcast. At this stage ABC2 still has Fallon scheduled into March, meaning no changes have been flagged. At least we will have full episodes again, ABC keep editing out anything that appears commercial, e.g giveaways to his audience around Christmas. I still prefer Ferguson but I guess I have to move on. @Sam.M the Comedy Channel used to have Fallon but dropped the show late last year. I honestly think this is a great pick up for E! At least it is not KUWTK (Keeping Up With the Kardashians). I have watched a few episodes of Jimmy Fallon on ABC2 and it is a very good show. Would have rather seen it appear express on the Comedy channel, or FOX or Arena. E has a niche market, which is predominantly younger females and Jimmy Fallon appeals to a general audience. Good to see E! getting fresh content, and presumably they got Fallon because of the NBC ownership, but it would have been good to get soneone not currently on Aussie TV, like Kimmel. Now it’s on E does this mean one guest each ep will be from the Karcrashian family ? It’s only on E in Aus, it’s on NBC in the USA which is the same channel that Jimmy’s previous show (Late Night with Jimmy Fallon) was on. I can only remember a Kardashian being on a couple of times, Jimmy’s very popular with celebs and has a very diverse range of guests on every night.